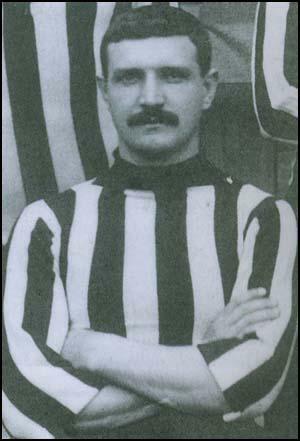 Matt Kingsley played in goal for his village side, Turton, before joining Newcastle United in 1898. He developed a good reputation as one of the best goalkeepers in the First Division and in 1901 was rewarded with his first and only international cap against Wales. Kingsley kept a clean sheet with England winning 6-0. He was the first Newcastle player to represent his country. In 1904 Kingsley was signed by Syd King to replace the Welsh international, Fred Griffiths. 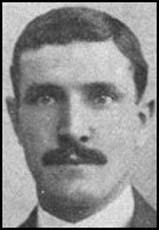 On 17th March, 1905, Matt Kingsley was seen to kick former Hammer, Herbert Lyon during the game against Brighton & Hove Albion. This caused a crowd invasion and a near riot took place before Kingsley was sent off and Lyon was carried from the field. 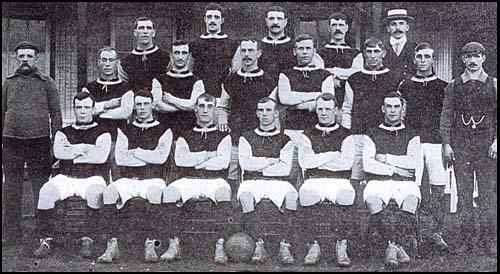 The Stratford Express reported: "No sooner had the referee pointed to the centre than the West Ham keeper ran at Lyon and kicked him to the ground, and matters looked ugly for the international keeper, who was ordered off the ground by the referee, but the Brighton officials, with a posse of police, acted very promptly and escorted him from the playing arena before any violence was used." It was the last game Kingsley played for West Ham and after completing his suspension he was transferred to Queen's Park Rangers. He also played for Rochdale and Barrow before retiring from football.